I'm going to make a website for Dinnersaurus soon, and it's gonna clear a bunch of things up without compromising my storytelling style. to answer your question right now though, the crazy dino's name is Baby Dino (Baby for short), and his sibling is his brother, Sweetie Dino (Sweetie for short). What's funny is today as I was finishing up on these pages, I said to myself "Sweetie is TOTALLY gay..." but then I was like "... I don't think I should sexualize such a young character..." lol. Thank you for continuing to view and comment :)! 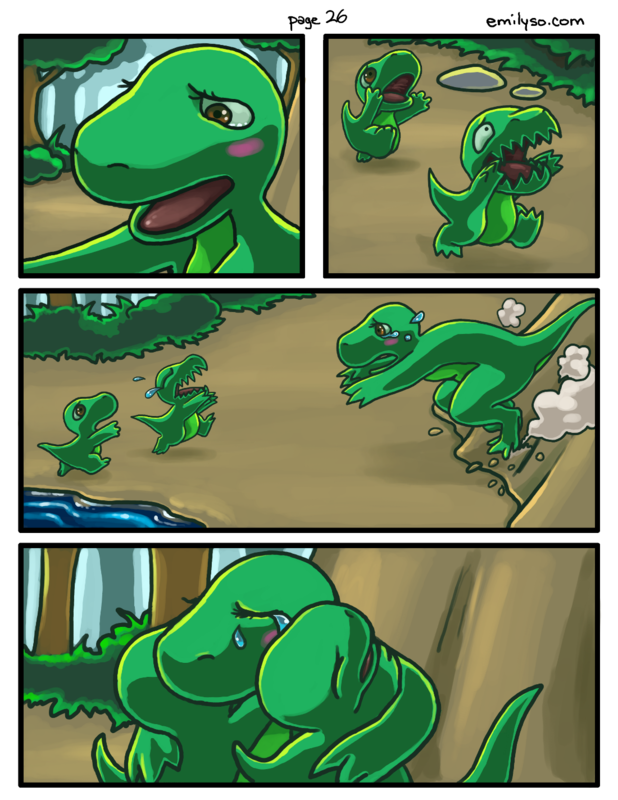 @bemily: T.T atleast the Dino Mom found her sons...wait...are both male or female or one male and one female! ?